Since the end of the winter everything has slowed down slightly, but the planning and funding applications have not! I have been traveling a bit with a trip to Antigua kitesurfing with all my family and a trip down the western coast of France surfing which was lots of fun! On the 3rd of July I started summer training with the British team. We had an amazing week, there were only three of us, Maisie Potter, Rowena Kealey and me. The camp focused mainly on freestyle which I have found extremely important during the last year of competitions in the World Cups. We were also doing a lot of physical training to get in shape for next season! We were really lucky and had reasonable weather the whole week and despite the large amount of people up on the mountain with us, managed to get a lot of training in. I got to feel a lot more comfortable and confident in the pipe and started throwing some moves on the kickers! We all progressed a lot that week and had loads of fun! Here are some shots taken that week! Since then I have been back home and started working. I had an awesome couple of days down on he southern french coast teaching kitesurfing, we had perfect conditions during the days for teaching and I got to kite in the evenings!! Since then have been at the lake sailing and have been rafting and kayaking with some clients. However we have had some strange weather, we even got snow yesterday at around 2400m!! The sun is back now and hopefully here to stay, adn hopefully some more work will come my way! If you are interested in kitesurfing, rafting or kayaking in the South of France, check out my website http://www.activities.tombankes.com or contact me, I should be able to help you out!! 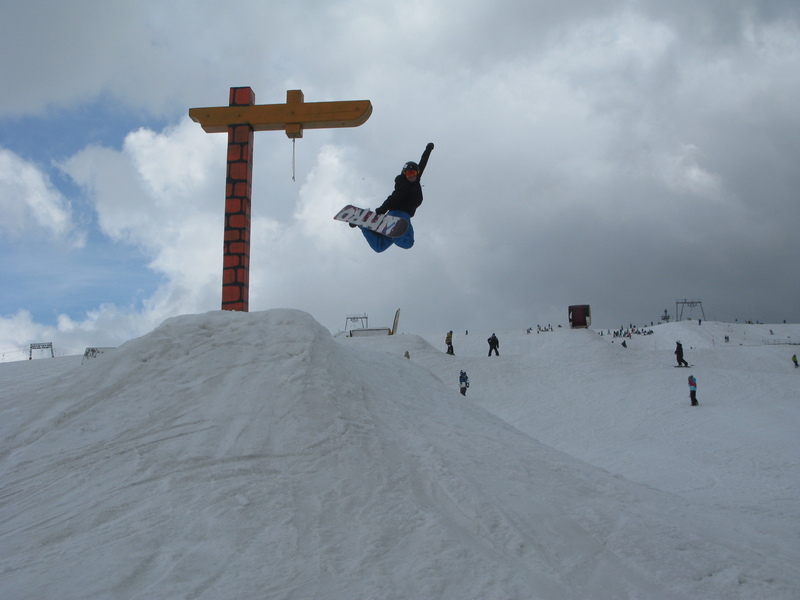 This entry was posted in Snowboarding, Training and tagged freestyle, Les deux Alpes, Snowboard Cross, Snowboarding, Tom Bankes. Bookmark the permalink.